Alcohol abuse costs $249 billion each year. 88,000 people die from alcohol abuse in the U.S. annually. Up to 6.2 percent of adults live with an alcohol use disorder (AUD). Drinking alcohol in excess increases risk for engaging in risky behaviors, like unprotected sexual activity, criminal activity, and risk for becoming the victim of a crime. When a person reaches the point of compulsive alcohol use, loss of control over consumption, and negative emotional reactions to not drinking, it constitutes an AUD, otherwise known as alcoholism. Further, withdrawal symptoms may become evident. Alcoholism may be classified as mild, intermediate, or severe, depending on how it impacts a person’s life. As a person continues to drink, a tolerance develops, and more alcohol is needed to achieve the same effect. Part of the problem and stigma of alcoholism derives from the volume of cases that go untreated, 93.3 percent of U.S. adults living with an AUD. Tried to stop drinking or cut back. Spent excess time drinking or sick from drinking. Drinking interfered with work or familial responsibilities. Continued to drink when it caused health problems, like high blood pressure. Avoided once-enjoyed activities in favor of drinking. Increased your chances of getting hurt due to alcohol use, like driving while under the influence. Experienced withdrawal symptoms when not drinking. 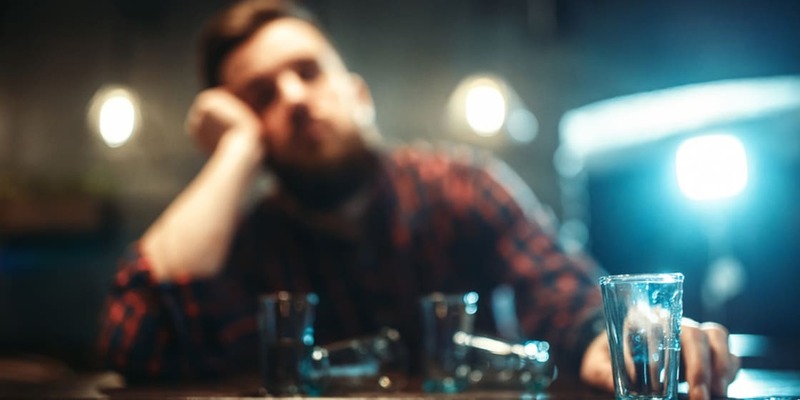 Depending on severity of dependency, alcohol withdrawal can result in extreme changes in body temperature, severe nausea, hallucinations, high blood pressure, and even a higher risk of respiratory or circulatory failure. Thus, someone seeking help with alcohol withdrawal for severe AUD should seek medical attention. Developing an AUD can come as a surprise. People may engage in heavy or binge drinking, and dependency develops. Take time to reconsider your own drinking habits or those of your family members and friends. Share the signs of an AUD with others, and if you have exhibited these signs, you may consider exploring potential treatment options to reduce your body’s reliance on alcohol. Also, if you experience any of the severe withdrawal symptoms, especially tremors, hallucinations or a racing pulse, go the Surepoint Emergency Center immediately. Surepoint Emergency Center is a modern emergency medical facility open 24/7. As an alternative to the traditional hospital ER experience, we offer convenience and minimal wait time, along with highly-trained emergency medical staff and state-of-the-art equipment. Our top priority is bringing high quality emergency care, quickly and easily to your family. We are committed to making patients feel better faster in a comforting and compassionate environment. Fast convenient care in your neighborhood.